Book Reviews | Shall we Sing a Song for you? It’s not unusual to hear people respond to church discipline – experienced either by themselves or someone else – with phrases like ‘That’s not very loving’. ‘That’s very judgemental’. This book is really a response to those sort of objections. 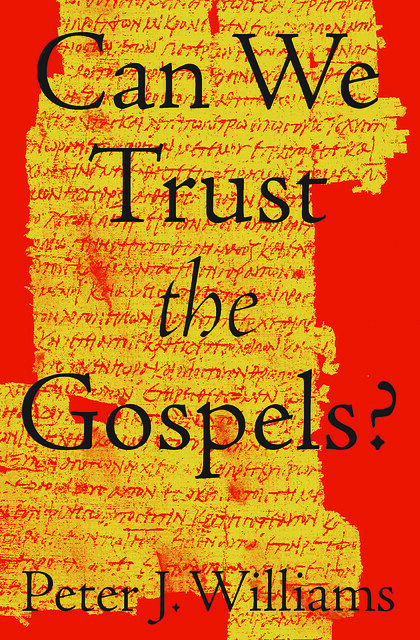 It also has a few chapters on the theology of God’s love – questioning whether it’s completely correct to describe God’s love as ‘unconditional’. 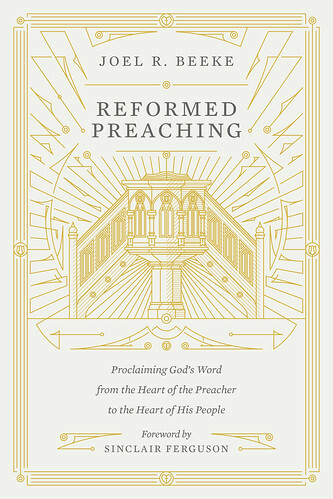 He suggests that the view of God’s love held by early church fathers such as Augustine has changed since the Reformation – at least in the writings of some of those who interpret the Reformers. 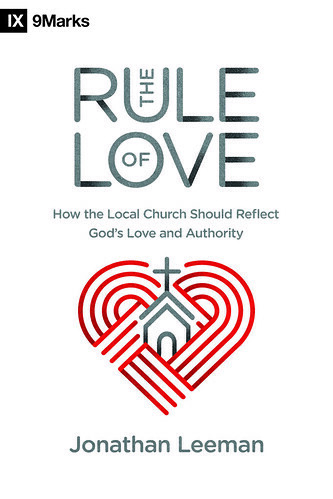 Having loved Leeman’s book on Church Membership, I thought this was going to be brilliant. I certainly found it helpful, but it wasn’t quite as focussed as I would have liked. There was also quite a bit about race, which might be more necessary in the American context, but seemed a bit irrelevant to the topic. On occasion he pushes congregationalism, which reminds me of a great Driscoll quote (from before he was completely discredited): ‘As I studied the Bible, I found more warrant for a church led by unicorns than by majority vote’. On the whole though, I found the book helpful, and have lots of quotes saved to return to and work through in the future. A month or so ago I told my congregation that anything Kevin DeYoung has written is worth reading. Having read his latest book, I wouldn’t say anything different, but I would add an asterisk. 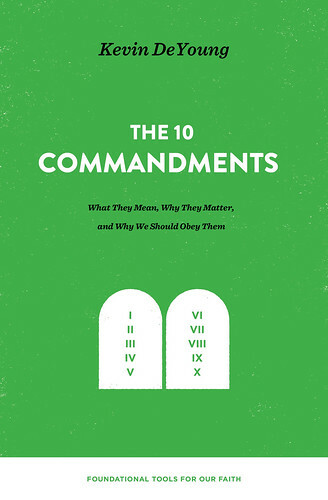 This book is pretty good on nine of the commandments. The application is good, and he gets to Jesus. The chapter on the fourth commandment is a real let down though. It’s particularly disappointing as he was brought up by parents who had a strict view of the Sabbath, which he’s grateful for, but says that in light of Romans 14 and Colossians 2 he can’t justify that approach exegetically. Discussing the phrase ‘festivals, new moons and Sabbaths’, he says ‘I don’t know how to make sense of the three items if “Sabbaths” means something other than the seventh day of the weekly Sabbath’. However, as Philip Ross points out in From the Finger of God, ‘on the six other occasions where feasts, new moons, and sabbaths are grouped together in the Old Testament they are always bound up with offerings, suggesting that the term is concerned more with the sacrificial activity of those occasions than with the days themselves’, so they ‘serve as shorthand for the offerings and rituals common to those occasions…all these things were the shadow of which Christ himself was the substance’. There is also no recognition of the fact that the Sabbath is a creation ordinance, though he does make the strange statement that ‘the fourth commandment is the only one of the ten which the Lord clearly gave to the nation of Israel before they reached Mount Sinai (see Exodus 16)’. Did the nation of Israel look back and think it was ok for Cain to murder Abel, for Ham to dishonour his father, for Abraham to lie and for Potiphar’s wife to try and seduce Joseph? These things were in place since the creation of the world, so such a distinction is unhelpful. In fact, one of the most significant things about Exodus 16 is that Moses didn’t need to explain the concept of or rationale for the Sabbath. As a result, whereas DeYoung says ‘Strip away the cultural context and the case law, and the main takeaway from the Mosaic Sabbath is that we must rest from our labors and trust in God’, the Puritans would have said ‘Strip away the cultural context and case law and you’re back to the Sabbath there was from the day God rested until the day he gave all that case law – just on a different day now Jesus has risen’. The Sabbath existed before sin and therefore can’t be ceremonial. Strip off the ceremonial aspects, and the moral law remains. DeYoung also tries to play the Westminster and Continental views of the Sabbath off against each other, stating ‘Even within the Reformed tradition there are different understandings of what it means to observe the Sabbath’, before quoting from both standpoints. However as Richard Gaffin has cautioned, ‘the difference between the Puritan Sabbath and Continental Sunday should not be exaggerated, especially so far as the actual practices of churches in the Reformed tradition are in view…following the Synod of Dort, British-American Presbyterianism and Continental Calvinism became of one mind on what Sunday observance should look like…We may speak here of a Reformed consensus’. DeYoung here departs from that consensus. He may be thankful that he grew up with his parents’ unswerving commitment to morning and evening worship, but what he says in this chapter will further militate against the same commitment in this generation. For example, he calls his own decision not to do homework on Sundays ‘a bold decision’, rather than obedience to a commandment of God which is binding on all. American Christianity has taken away the practice of the Sabbath, and then revised their theology accordingly. DeYoung may want to keep the practice, but once the theological backbone is removed, the practice will soon disappear. A new book by Alec Motyer is always an exciting event, especially coming two years after he was promoted to glory. In actual fact, this is the North American title for the second edition of his Scenic Route through the Old Testament. As the subtitle suggests, this isn’t really a book to be read straight through. 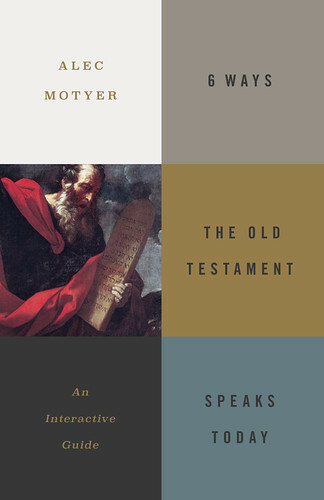 It has six chapters, each introducing a different Old Testament genre, and then a week’s worth of Bible readings, with comments (and an additional month of readings and comments in the appendix).